A combination of heavy rainfall and a lot of snow melting has caused severe flooding problems throughout the upper Midwest in recent days. That includes areas along the Mississippi River, including Davenport, Iowa, home of the Quad Cities River Bandits. 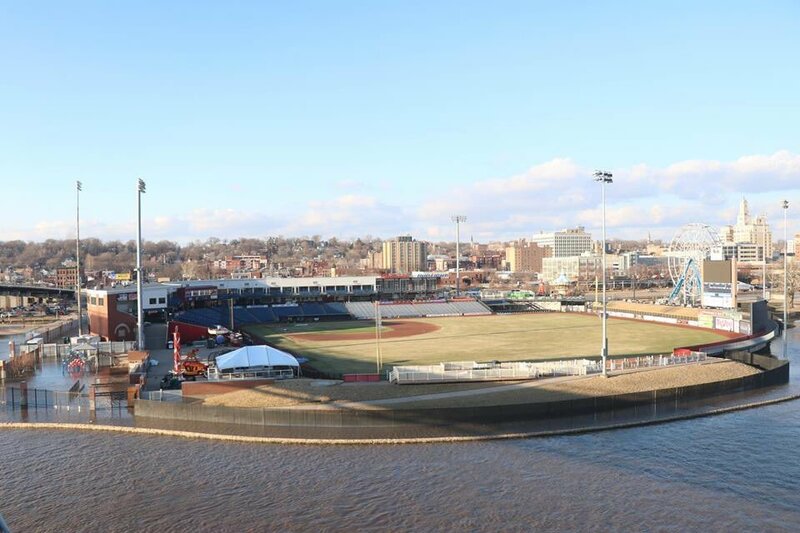 As you can see in the two photos in this post (shot by Josh Franzen and shared by the River Bandits), Modern Woodmen Park is an island of dryness in the middle of the flooded area of Davenport. 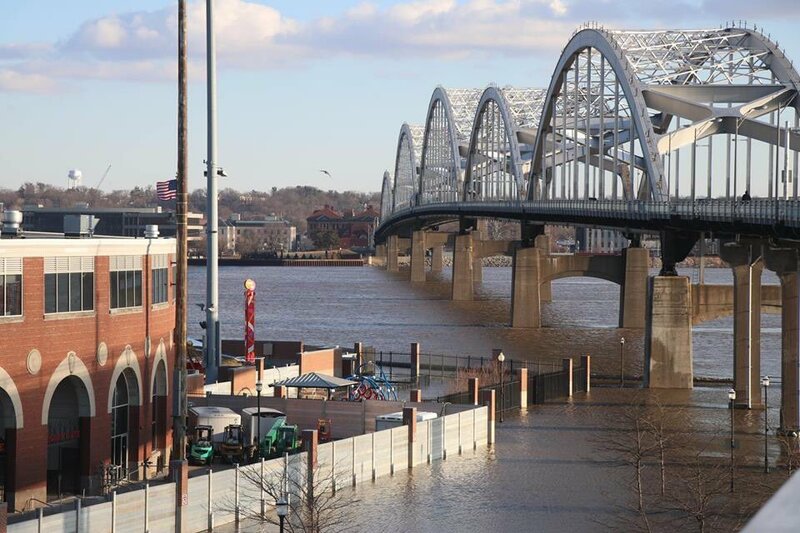 Water levels began to recede Monday morning, but the river is expected to crest again later this week, according to WQAD-TV. Flooding at the ballpark is nothing new, but it’s worth noting that before the stadium underwent major renovations in 2004, the entire facility would’ve been underwater in conditions like this. This entry was posted in Midwest League, Quad Cities River Bandits. Bookmark the permalink.